Realty News Roundup is PropGuide's selection of the week's top stories from the real estate sector. Delhi Lieutenant Governor Najeeb Jung has asked the state government to rescind its August 4, 2015-notification in which circle rates of agricultural lands were revised without his approval. 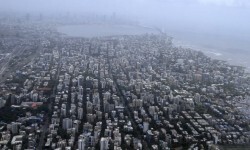 The withdrawal of the notification would result in the 2008 circle rates on land transactions kicking in. The per acre rate under that was Rs 53 lakh. But the Aam Aadmi Party (AAP) government had, in its first Budget, hiked the rates in a range of Rs 1 crore to Rs 3.5 crore per acre. Maharashtra Chief Minister Devendra Fadnavis has approved land at Purandar for a new Greenfield international airport for Pune. Located 15 km from the city outskirts, the proposed airport will be spread over 2,400 hectares of an area. 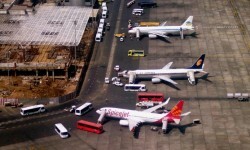 The site has already been approved by the Airports Authority of India. To tide over the financial crisis, the Haryana Urban Development Authority (Huda) is planning to hold a weekly auction of its properties in Gurgaon starting next month (November). Unlike the last time when random properties were auctioned, this time, it will sell properties sector-wise every Tuesday. Urban Development Minister M Venkaiah Naidu has said the Centre has finalised the rules for the Real Estate (Regulation and Development) Act, 2016, which will be communicated to the states soon. Emphasising that the Act brings in transparency and accountability in the real estate sector, he urged the private sector to join hands with the Centre to meet the shortage of houses in the country. In a set of guidelines issued to all housing societies in Greater Noida, the Noida Power Company Limited (NPCL) has clarified that usage charges for prepaid meters are meant exclusively for electricity and not for other tariffs such as maintenance, water or clubhouse. The body has also asked housing societies to provide monthly electricity bills to all consumers with details of charges. Each society also has to submit a half-yearly statement to NPCL on energy consumed by individual consumers and rates charged.